After this year’s E3 in June, it felt okay to be hopeful about the future of Marvel console games. After years of free-to-play mobile games and disappointing games like The Amazing Spider-Man 2 from Activision, not to mention Sega’s catalog of mostly terrible titles based on the first phase of the films in the Marvel Cinematic Universe (I still stand behind Thor: God of Thunder on DS and Captain America: Super Soldier on PS3/Xbox 360), things looked pretty bleak for those who wanted the Marvel equivalent of Batman: Arkham Asylum. But then out of nowhere we have not only a brand new Spider-Man game built from the ground up for the PS4, but one made by Insomniac Games no less. Post Sony press conference interviews also continued to paint a very pretty picture of the future of Marvel’s presence in the console space. “Is [Spider-Man] a signal of things to come? Oh, yes. Absolutely. And we can’t wait to tell the world about it.” Said Jay Ong in an interview with Polygon dated June 14th of this year, who also teased the public with the potential for a fourth entry in the Marvel Vs. Capcom series not six days later on the same site. 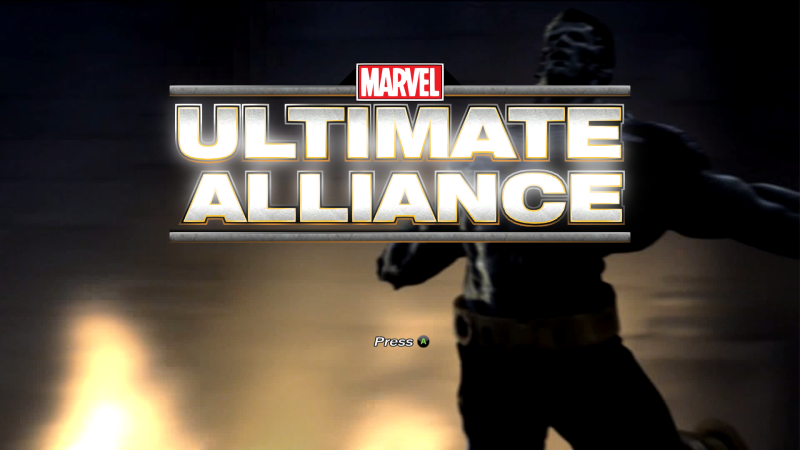 Though the news was leaked before last weekend’s San Diego Comic-Con, Marvel dropped another huge bombshell when they announced that not only was the beloved Marvel Ultimate Alliance series coming to PS4, Xbox One as well as PC via Steam, but they were coming Tuesday of this week! When asked the question if this meant a new beginning of the Marvel Ultimate Alliance brand, Mike Jones, the executive producer for the rerelease, said in an interview with Marvel.com: “Following the footsteps of a proud Marvel tradition, I’ll say: Anything is possible, True Believers!”. This, to me at least, was taken as a call to arms for fans to vote with their wallets and just maybe, we would get that Marvel Ultimate Alliance 3 that we’ve been wanting for years now. But then the bundle came out, and well, let’s just say that some bad habits don’t die-hard to use a cliché. While there hasn’t been that much of a public outcry over the PS4 port of the game other than it hasn’t been altered that much for the price point that’s being demanded ($40 per game of $60 as a bundle) and the extra DLC that only exists on the Gold Edition of the game on Xbox 360 is missing, things are much different for those playing on PC and now Xbox One. The PC port that was released is a sad reminder of the botched Batman: Arkham Knight release of last summer, and while not unplayable like that game was at launch, it still has numerous glitches and non-existent controller support, even though the start-up screen for the game says to “Push A” when a controller is plugged in, only to have the function not work. Game Description:UNLEASH THE GREATEST SUPER HERO ALLIANCE EVER. Marvel: Ultimate Alliance lets players create their ultimate team from the largest superhero alliance ever as they engage in an epic quest to determine the fate of the Marvel universe. Players can create and control their own completely unique team, selecting from the largest roster of legendary superheroes ever assembled in one game, including Spiderman, Hulk, Wolverine, Captain America, Ironman, and The Thing. Through the epic campaign, the heroes will battle, team-up, and interact with over 140 characters from the Marvel universe and ultimately confront notorious villains such as Dr. Doom, Galactus and The Masters of Evil. I should also mention that Iron Man should be two words and Spider-Man has a hyphen in it. Needless to say the positive buzz created by the announcement made Saturday and the hope for a new Marvel Ultimate Alliance has come undone in a matter of days, and what we’re left with is not an optimistic picture of Marvel’s console future, but a reminder of how things used to be: The days of overpriced Deadpool rereleases and games rushed to market to cash in on a popular license. It created a lot of headlines on a lot of gaming websites that these games were coming to the current generation of consoles, and while I can’t speak for everyone, I think most people would’ve been okay if this games were held off until they were good and ready like WB Games had to do with Batman: Return to Arkham. We live in a world of never stopping news cycles and social media, and now when people think of this pretty excellent surprise, they’ll think of a broken game with equally broken promises. This is great damage control and it shows Marvel’s new-found dedication to the console space, but that all being said, these things perhaps should have been fixed before the bundle was launched to their respective platforms. First impressions count for everything these days, and what was once a return to glory for two of the most beloved Marvel games ever now reeks of a cash grab like the dark days of the last few years. Hopefully the folks at Marvel Games will be able to turn this fiasco around, but right now I feel that the damage maybe is already done.